Hello Friends! For Game 1 of the NBA finals I decided to start on a good note and pop open one of my birthday presents. I’m lucky to have friends that know me so well and got me just what I like, a Sour beer!!! New Belgium 2013 vintage La Folie Sour Brown Ale has been aged for 1-3 years in French oak barrels and just like the label says, its SERIOUSLY SOUR! La Folie is French for “madness” which makes a little sense because most people say I must be mad for enjoying these sour beauties. So raise your glasses fellow sour lovers, join me in my madness and lets enjoy this gift of mouth-puckering perfection! 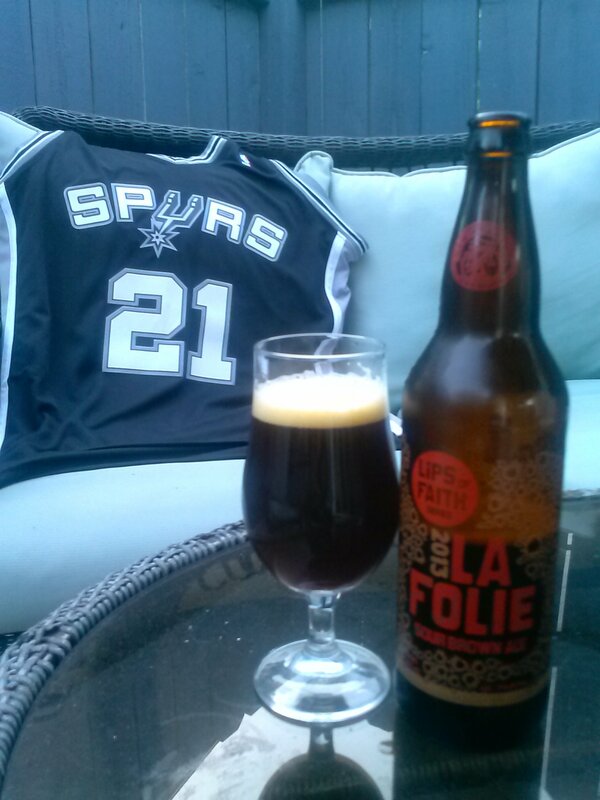 Salud and Go Spurs Go! On a recent trip to Santa Cruz, CA to watch my baby sis graduate from UCSC (go Banana Slugs! 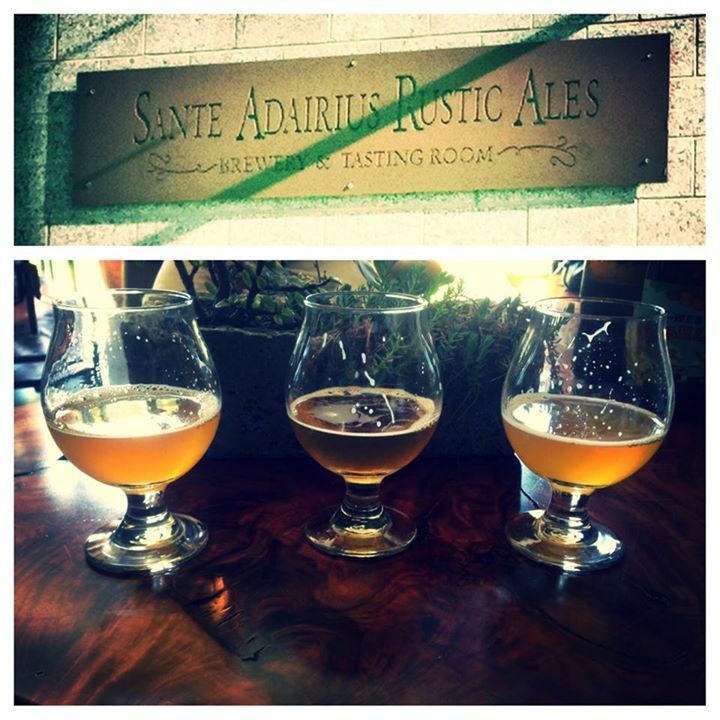 ), I just so happen to find a small brewery located in the neighboring city of Capitola, Sante Adairius Rustic Ales (the locals refer to them as SARA). 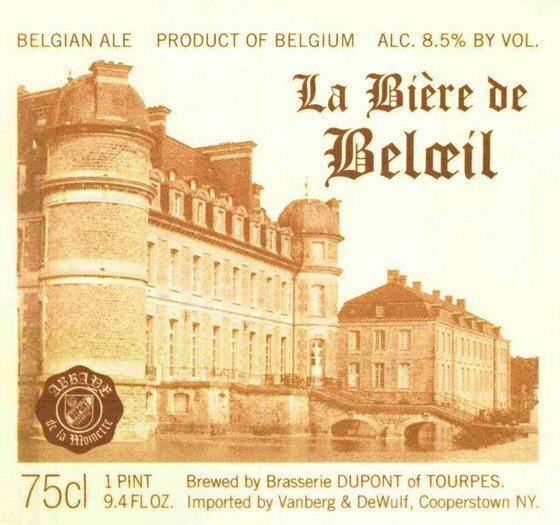 Tucked back in an industrial complex, we began to think we were lost until we saw about a dozen people sitting out in front of a building around wine barrels sipping from tulips filled with bright orange beer. This must be the place. Despite only having three beers to sample, 831 IPA, Little Quibble Farmhouse Ale, and West Ashley Sour Saison (pictured from left to right), the experience was awesome. A general jovial mood in the tasting room set the stage for tasting three delectable and unforgettable brews. The staff was very knowledgeable and super friendly, taking the time to ask all questions and make all patrons, regulars and newcomers, feel very welcome. 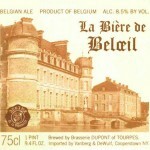 Whether you are a beer connoisseur or just a wanna-be beer geek (like me! ), it does not to take long to figure out that SARA has something special going on. All three beers we tasted were excellent and very unique creations of their respective styles. Out of all three, it was difficult to choose my favorite, but I have to go with the West Ashley Sour Saison. Aged in French Oak Pinot Noir barrels with apricots, the flavor is very tart with lemon sourness while the apricot, the oak from the barrel, and some mild funk round out the glass. Just the right beer for a sunny spring day! So let’s get to it. My top pick this month is Old Crafty Hen, a special version of one of England’s more iconic beers, Old Speckled Hen. The key difference is the inclusion of a very strong Old Ale from parent brewery Greene King called “Old 5X” which weighs in at 12% ABV and is the culmination of 2-5 years of age in giant oak barrels. 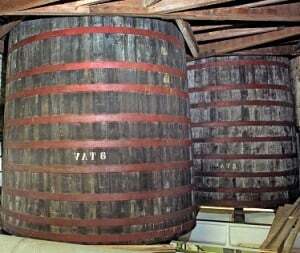 That’s right, this is a blended beer – with wood aging – pretty unusual for English ales in this day and age. On the pour this Hen presents an attractive amber color with a head that drops plenty of lace. Richly malty on the nose, there’s also a distinct fruity quality that only a fine ale can deliver. There’s a sweet impression along with a distinct raisiny note, prominent caramel and some bread dough. Look for a touch of butter to lend a bit of a toffee character, while hops and oak age add some floral, mildly spicy notes with hints of citrus and wood. Complex as hell on the palate, expect a prominent dark fruit character composed of cherry, raisin, and currants, all surrounded by robust, satisfying caramel malts which deliver some honey notes as well. We found this crafty brew fairly sweet, but there’s a moderate hop bitterness and a hint of tartness (thanks to the aged 5X) to balance, along with just a hint of spicy, drying alcohol. A touch of buttery diacetyl is a hallmark of many English ales, and we get some here, as well as mild oak notes and slight hints of oxidation from the prolonged barrel aging, which provide a sherry-like component. 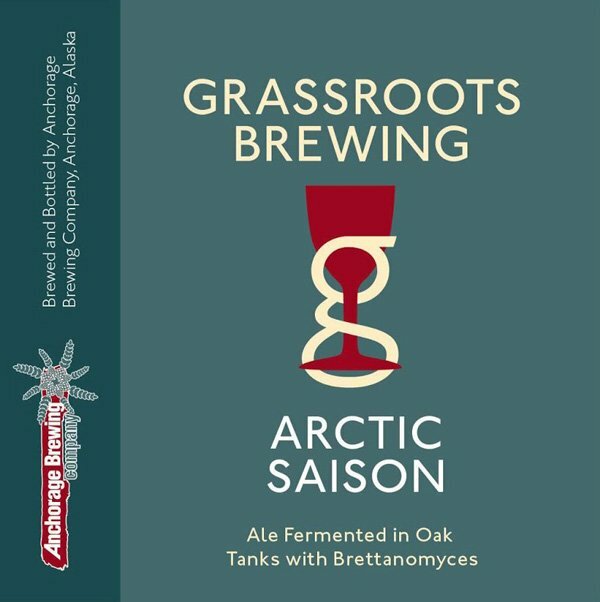 Enjoy this fine brew on its own, or pair with a plate of complex cheeses. Cheers! 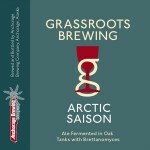 As summer quickly approaches, we found this recipe that will go great with your favorite microbrew! 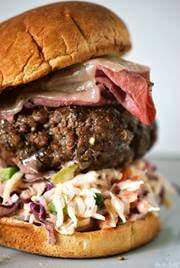 Prepare the slaw: In a medium bowl, mix together the cabbage, garlic, onion, jalapeno, vinegar, mustard, mayonnaise, sugar, salt, Worcestershire sauce and ShaSha Sauce. Cover and refrigerate 1 hour. Make the burgers: Build a charcoal fire or heat a gas grill. On a work surface, combine the meats and form the burgers into 4 equal-size patties. Season liberally with salt and pepper. Grill the burgers over high heat until medium rare, 3 to 5 minutes per side. Meanwhile, heat a large saute pan over medium heat. Place 4 heaping piles of pastrami in the pan. After 2 minutes, top each pile with a slice of Swiss cheese. Remove them when the cheese is melted; set aside. Pour the butter into the pan. Place the buns in the pan, cut-side down, and toast, about 2 minutes. 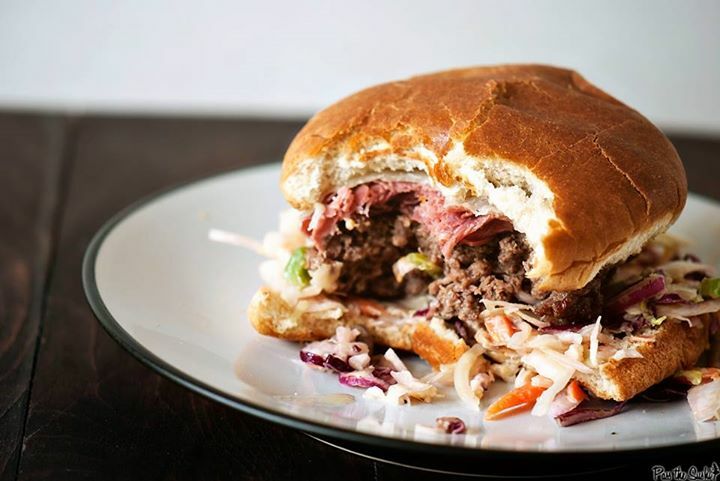 Place a heaping tablespoonful of the slaw on the bottom half of each bun. Top with a burger and a mound of pastrami and cheese. Cover each with the top half of the bun and serve immediately.